This property is undergoing renovations from 01 November 2016 to 28 February 2017 (completion date subject to change). Renovation work will only be conducted during business hours on weekdays. Every effort will be made to minimize noise and disturbance. 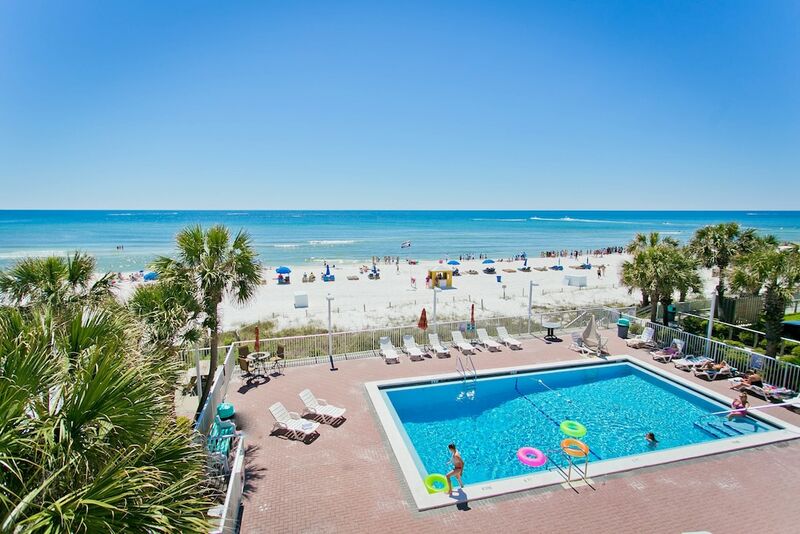 When you stay at Bikini Beach Resort in Panama City Beach, you'll be on the beach, within a 5-minute drive of Shipwreck Island Waterpark and Ripley's Believe It or Not. This beach hotel is 4.9 mi (7.9 km) from Capt. Anderson's Marina and 4.9 mi (7.9 km) from Pier Park. Make yourself at home in one of the 100 air-conditioned guestrooms. Complimentary wireless Internet access keeps you connected, and cable programming is available for your entertainment. Conveniences include safes, as well as phones with free local calls.